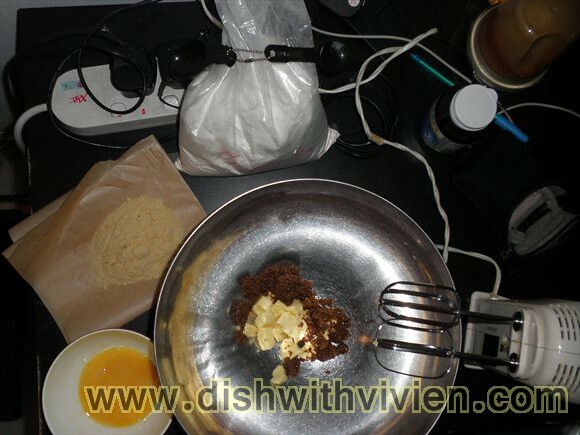 Tasted the pie in the demo and it is really delicious, went to buy the pie plate with exact measurement in Publika. 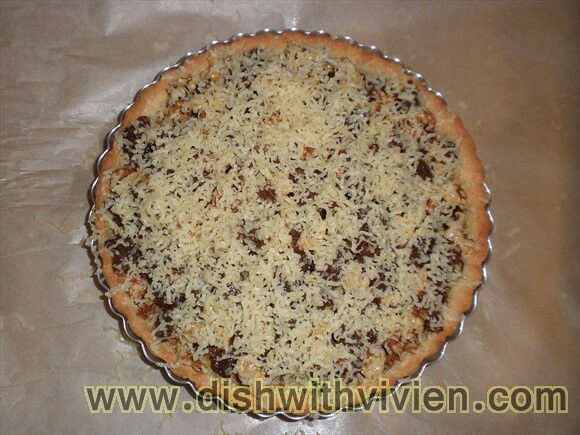 grate leftover pastry which is frozen onto top of pie, sorta like crumble pie, but here it look like cheese eh? 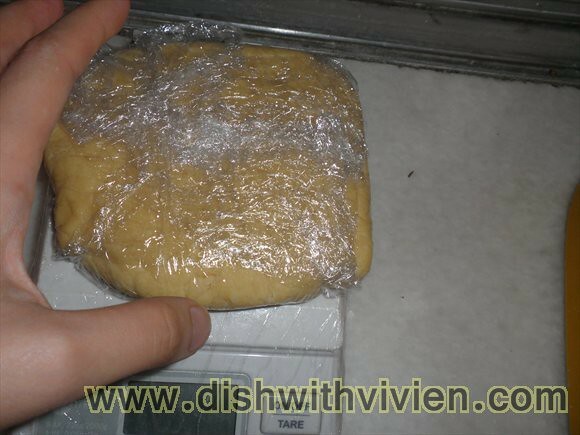 Just like what 孟老师 said, this kind of aluminum pie plate doesn’t conduct heat well, resulting in bottom of pie which is not browned nicely. 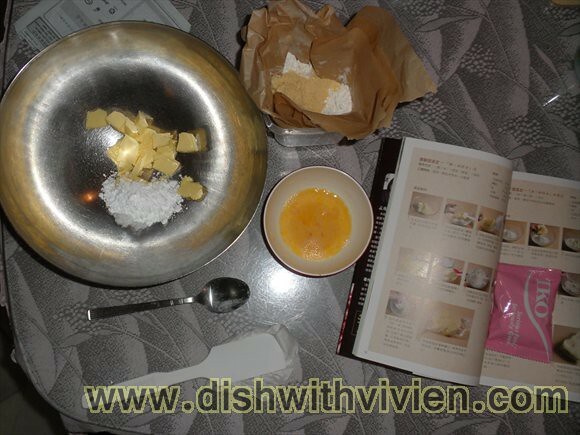 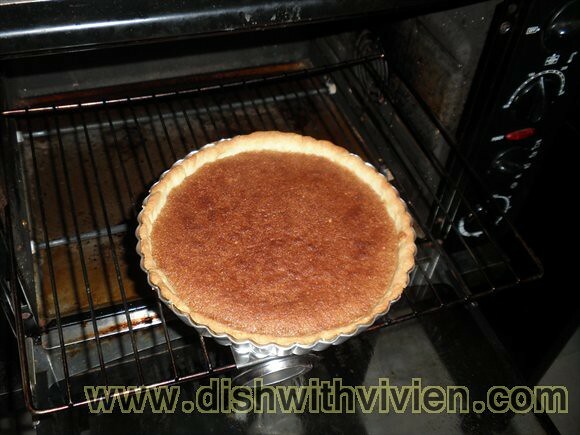 Option would be to remove pie from plate and further bake with direct heat from bottom of oven. 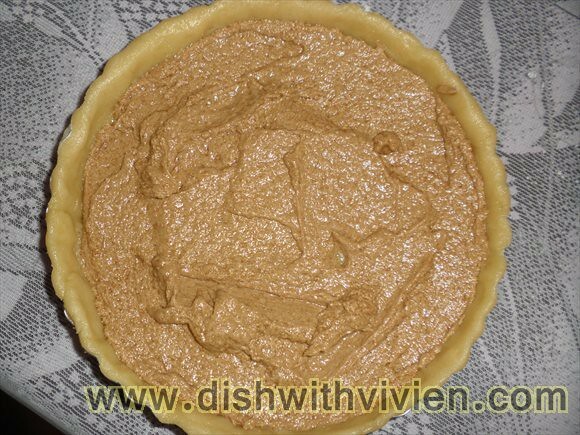 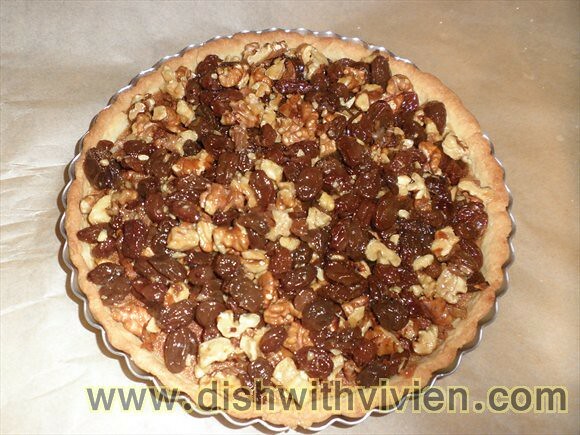 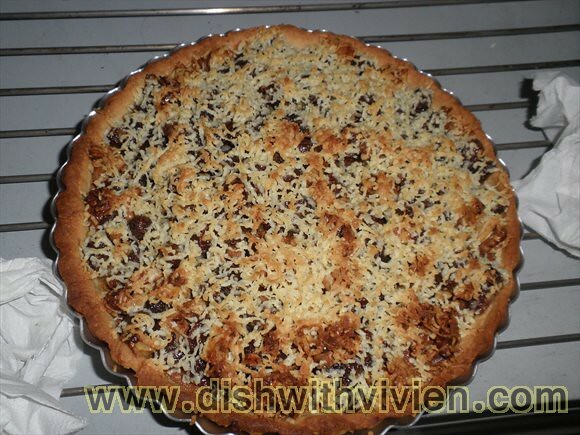 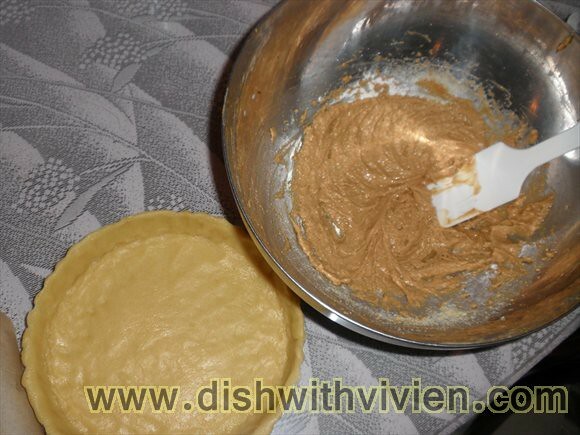 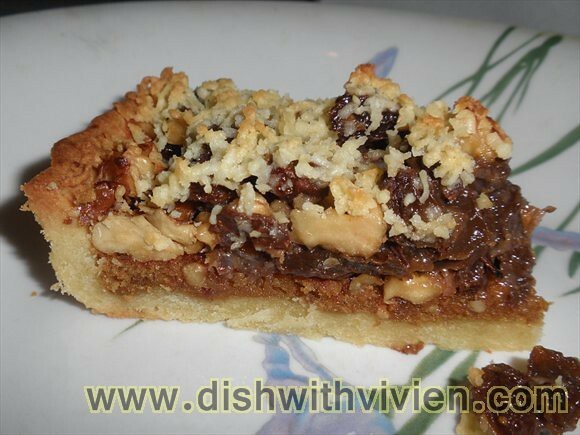 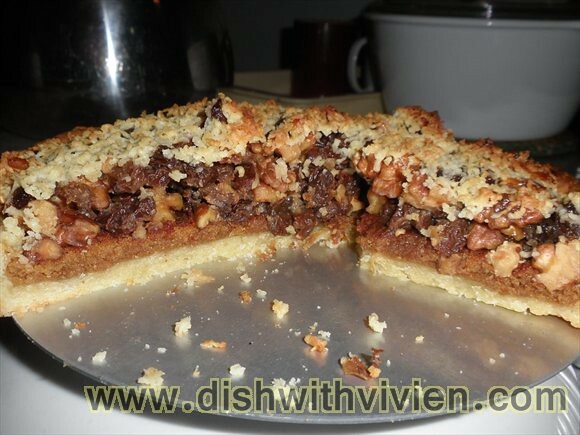 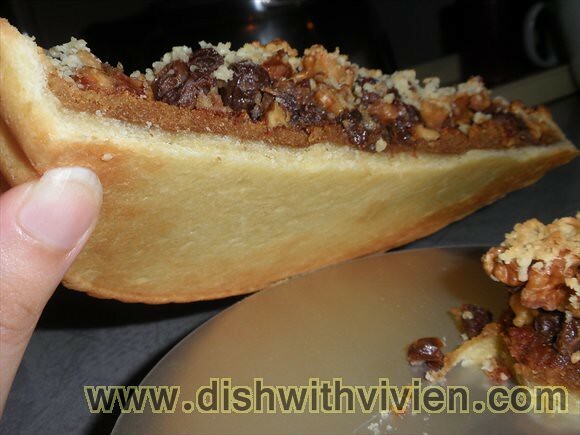 This is a nice pie for sharing, just a small piece will suffice to enjoy the fragrant of almond meal and walnut crunch. 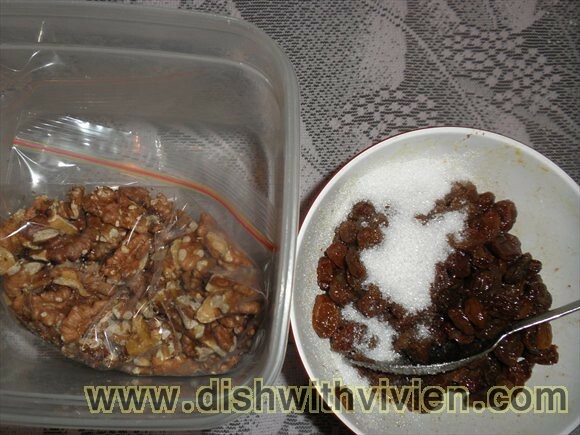 Not sure if i oversoaked the raisin, i soaked for almost a week, and it tasted slightly bitter, and that also i think i might have reduced the sugar of the walnut raisin mixture by 5 – 10g.